Hyundai Kona Electric Performance, Engine, Ride, Handling | What Car? 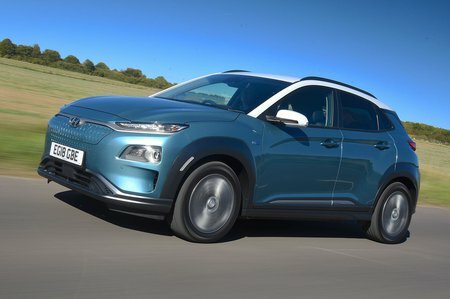 As we’ve already mentioned, the Kona Electric is available in two forms: the cheaper has a 134bhp electric motor and a 39kWh battery, whereas the 64kWh battery version packs 201bhp. That’s considerably more than any electric car this side of a £60,000 Jaguar I-Pace. Even the lower-powered version is surprisingly nippy, whereas the 64kWh model is really quite rapid. In fact, when pulling away, you have to be a bit delicate with your right foot to avoid embarrassing wheel spin – even when the road is bone dry let alone when it's been raining. 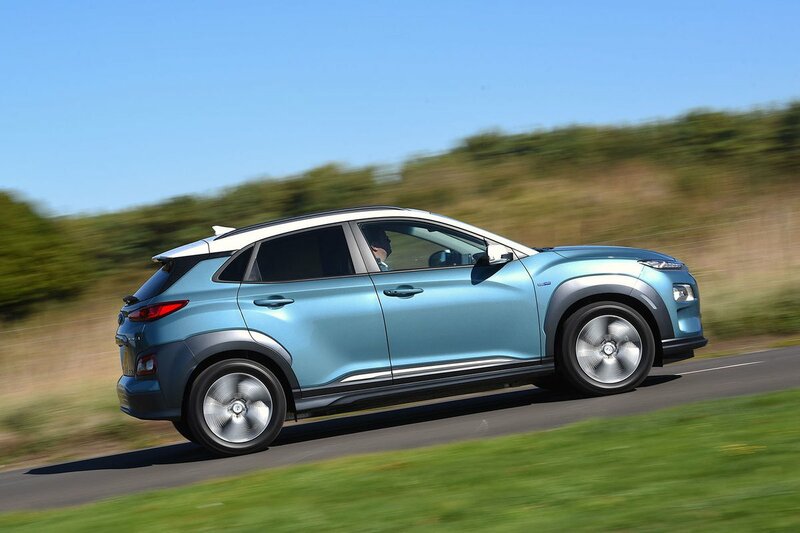 Once you’re on the move, the Kona 64kWh builds speed almost as rapidly as a Ford Fiesta ST. And there’s no waiting for the revs to rises before maximum performance is delivered; simply tread on the accelerator pedal and the car immediately surges forward. Lift off the accelerator and you feel yourself slowing down quite quickly as the regenerative brakes harvest energy to replenish the battery. You can increase this braking effect if you wish, although not quite to a point that allows the one-pedal style of driving that’s possible in the rival Nissan Leaf. However, when it comes to electric cars, performance isn’t just about how quickly you can speed up and slow down; it’s about how far you can get between charges. Hyundai quotes some pretty bold number here. In our own Real Range tests, the Kona 64kWh managed 259 miles – a hugely credible figure even it is a way below the official 300 miles. Meanwhile, the 39kWh model managed 158 miles – more than the Renault Zoe and Nissan Leaf achieved on the same test. Turn the steering wheel as you approach a corner and you’ll notice the Kona Electric leans less than a Nissan Leaf. However, in most other respects the Leaf is a better handling car; it’s steering is more accurate and there’s more sideways grip to exploit if the mood takes you. In the Kona, you’re also jostled around more by smaller road imperfections at all speeds than you are in the Leaf – although never to the point that it becomes truly annoying. Likewise, there’s more road noise than there is in some other electric cars, such as the Leaf and VW e-Golf.